The beginning of a new year always brings a fresh start and opportunities for change. For the start of my new year, I am honored to have been elected to the Radiology Administration Certification Commission (RACC) and feel truly blessed with the opportunity to participate in AHRA! As an AHRA member and a CRA, I wanted to give back to the organization that has greatly enhanced my leadership skills throughout my journey as a radiology leader. My inspiration to participate in AHRA came from attending the most recent AHRA Annual Meeting in Anaheim, California. Our current President, Angie Bush, and Past-President, Jason Newmark, addressed the AHRA membership with motivating words as they challenged each of us to step beyond our comfort zones and get involved. I took the challenge and hope you will consider doing the same in 2018! For those of you who have taken the CRA exam, you know it is a nerve wracking and challenging experience. Even the most seasoned radiology leaders have remarked on the preparation necessary to achieve success in obtaining this important credential. I found passing the CRA exam to be one of the most rewarding experiences of my career. As a new commissioner, I am hopeful my experiences will add value to the RACC as we continue to evolve this important exam. I bring with me a commitment to keep our focus relevant to skills and knowledge needed for our work. For those of you who have not taken the CRA exam, I encourage you to do so. The RACC’s mission is to promote individual recognition and verifiable excellence within the medical imaging management profession. This is something I firmly believe and strive for every day. In my years as a radiology director I have found that I have a passion for coaching and mentoring others. I love sharing my knowledge, and I embrace learning from others as well. I enjoy watching others expand their knowledge, excel in their careers, and become great mentors to others. This is one of the many reasons I wanted to be a part of the RACC. 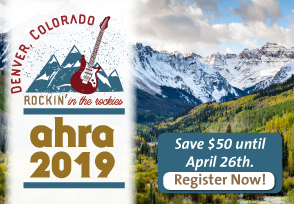 I thank you for the opportunity to be part of such an amazing organization and look forward to seeing many of you at this year’s AHRA Annual Meeting. Sandra Phillips, CRA is the director of diagnostic imaging at Middlesex Hospital in Middletown, CT. She can be reached at sandra.phillips@midhosp.org.